This is the second of two articles examining the politics behind Indonesia’s revised anti-terror law in the wake of the May family suicide bombings. The first article can be found here. The counter-terrorism landscape in Southeast Asia has fundamentally changed over the 15 years since Indonesia’s anti-terrorism laws were originally enacted. The emergence of a self-declared ISIS caliphate in Iraq and Syria energised a new generation of Indonesia’s Islamists, with more than 500 Indonesians travelling to ISIS controlled lands and returning – many in family groups. The appeal of global Islamist ideology has radicalised young Indonesians via social media, without the need for travel or formal membership of Islamist organisations. With advances in communications technology, the appeal of global Islamist ideology has radicalised young Indonesians via social media, without the need for travel or formal membership of Islamist organisations. A January 2016 rampage in central Jakarta, coordinated by Syrian-based ISIS operative Bahrum Naim and leader of Jemaah Ansharut Daulah (JAD), Aman Abdurrahman, dramatically underlined the danger. Yet it was the five-month siege of Marawi in the southern Philippines in 2017 by ISIS-linked militants that crystallised the threat posed to the region. The example set by the Maute group’s seizure of an urban centre in Mindanao presented a dangerous new prospect for Indonesia, prompting Jakarta and its regional partners to expedite a range of new intelligence sharing and counter-terrorism arrangements. But even so, an effort by the President Joko Widodo to revise the 2003 anti-terrorism law to enhance its pre-emptive and preventive powers had languished for two years. The changes first sought in 2016 had become entangled in the increasing politicisation of Islam in Indonesia. It was a debate that illustrated the potent mix of populism and religion. Under the 32 year Suharto New Order regime in Indonesia, Islamic political parties in the country were emasculated and radical Islamists either eliminated by the armed forces or forced to flee overseas. Successive New Order governments banned the Islamic headscarf or hijab (jilbab) in both public schools and the civil service. 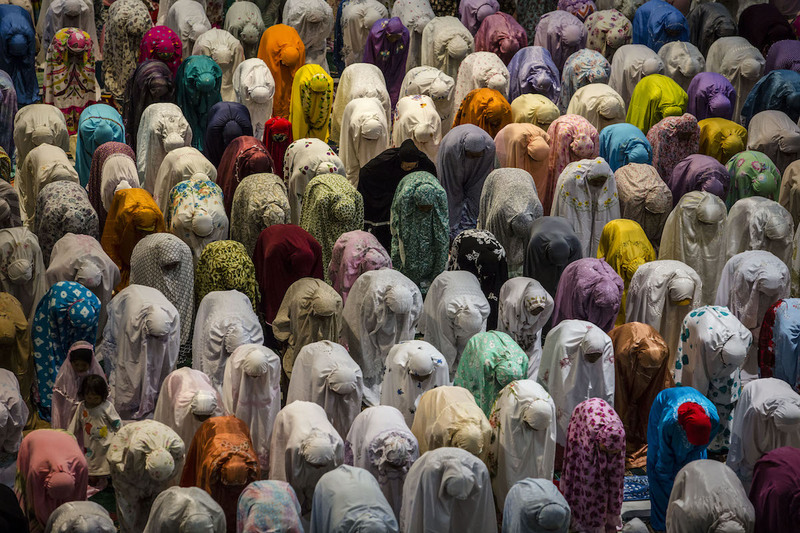 In Indonesia’s post-authoritarian socio-political context, however, Islamic identity has been increasingly embraced. With this has come a growing intolerance and pressure to conform, particularly on women. For women’s civil society in Indonesia, the concern has been less about terrorist attacks, but more the increasing pressure, intimidation and coercion designed to restrict women’s agency and autonomy. When the anti-terrorism law was before the legislature, women’s organisations noted attempts by some factions, particularly the conservative Justice and Prosperity Party (PKS), to further erode women’s rights. In comparison to the 2003 law, the revised bill underwent a more extensive consultation and deliberation process, not just among the various political factions represented in the legislature (Dewan Perwakilan Rakyat, DPR), but including women’s groups, the academe, religious groups and civil society organisations. Many non-government stakeholders were keen to ensure both the law met contemporary human rights standards and did not privilege repressive measures above the reintegration and rehabilitation of extremists. Among the most contentious articles included the so-called “Guantanamo Article”, which provided for powers of arrest and detention without warrant for up to six months. Equally, both the electronic surveillance measures and planned revocation of citizenship for convicted terrorists on top of their prison sentences, proved contentious. The citizenship article was later revoked as it contravened Indonesia’s citizenship law. Other articles were amended on expert advice, but the irony in a death penalty sanction for Islamists who sought glory as martyrs was not excised from the revised law. Delays were also a consequence of political machinations. From November 2016, revisions to the anti-terrorism law were increasingly caught up in the charged political atmosphere of the Jakarta gubernatorial elections. The election period and in the months preceding it, had seen a significant uptick in organised hate speech toward minority groups, such as Chinese, Christians, and more liberal proponents of Islam. Opponents used blasphemy charges under Indonesia’s criminal code to derail the chances of ethnic Chinese incumbent, Basuki Tjahaja (Ahok) Purnama, who in May 2017 was sentenced to two years’ imprisonment. Opposition to Ahok involved the mobilisation, some of it spontaneous, most of it organised, of hundreds of thousands of protestors by hardline Islamic groups such as the Islamic Defender’s Front (FPI) and National Fatwa Guard Movement of the Council of Indonesian Ulema (GNPF-MUI) in November and December 2016. As elite machinations intensified and rumours swirled about the loyalty of senior Indonesian Armed Forces (TNI) commanders, concerns rose in the executive about the nation’s stability and cohesion. Within this heated political context, revisions of Indonesia’s anti-terrorism law proved highly contentious. The conservative opposition faction in the legislature, comprised of PKS and the larger nationalist Greater Indonesia Movement Party (Gerindra), was concerned that the law should not become an instrument for the oppression of Islam or indeed, be used to thwart their own political agendas; particularly given the purported links between Gerindra and Islamist militia fomenting the anti-Ahok protests. There was also a sense in quarters of the government, security forces, and civil society that the sympathies of conservative legislators were aligned closely with radical Islamic groups and their agendas. It was the definition of terrorism and by extension, the security forces’ role in counter-terrorism, however, which proved most contentious. The Gerindra faction had proposed that the definition of terrorism include specific reference to “ideological and political motives”, arguing it would limit the potential for excess by security forces. Yet this qualifying phrase was widely opposed – a member of the legislature’s expert team from the Indonesian Institute of Science (LIPI), Poltak Partogi Nainggolan, characterised the additional phrase as unnecessarily complicating and claimed it would make it harder for the judiciary to prove ideological motive. A stalemate ensued. The legislature and executive could not resolve differences over the definition. It lasted right up to 13 May this year, when Indonesia woke to the news of three successive suicide bombings of churches in the country’s second largest city of Surabaya, perpetrated by one family. No-one could have foreseen a situation where extremists would transform their own children into improvised explosive devices.